“Summer’s here and the time is right for panting in the street,” Martha and the Vandellas, as interpreted by the author. I’ve endured endless 95 degree, 95% humidity days in D.C. where you sweat like James Comey awaiting the DOJ IG report. I’ve done summers in the triple-digit dry heat of San Fernando Valley so parching it’d make Adam Schiff grab for Trump Water. That’s nothing compared to Texas heat. It doesn’t just burn you. It doesn’t just melt you. That heat pounds you like a UFC fighter whose wallet you just stole. It drains you like you were an old iPhone battery. It makes you dream of autumn. Then again, autumn is football season, and for Texans everything makes you dream of football season. One thing about the Texas heat. It forces an expansion of the mind. I’d never seen more tough-looking, Marlboro Men-former Marine-types hanging out in frufru little boutiques as I did in Granbury. The lure of AC does wonders for your shopping palette. I joke about the heat, but there’s no joking what happened to Ellicott City, Maryland, Sunday. Flash flooding tore through the historic streets with merciless fury. A brave National Guardsman appears to have been swept away while helping with rescue operations. We pray for the family and friends of Sgt. Eddison Hermond. Ellicott City is a special place. You drive along in suburban Baltimore, make a turn or two, and the road drops down into the 19th century. It’s like Brigadoon, but with Bal’mer accents. As if the earth had opened up, revealing in the crevice a town from another time. Sadly, that crevice makes flooding in Ellicott City so dangerous. In fact, in the town’s Wikipedia entry, the persistent, deadly flooding gets top billing. What a shame for a place so filled with charm. Yesterday’s flooding is going to do a number on the summer tourist season. But here’s an idea. If you’re one of the hundreds of thousands of families heading to the nation’s capital this summer, why not speed up the Baltimore-Washington Parkway and pay a visit? The Museum of American History on The Mall is awesome. But stepping back into history is magical. And you’ll help a community out. If you are looking for ways to help now, The Baltimore Sun has several opportunities listed here. Of course, Ellicott City isn’t the only place starting the summer season with a storm. Sub-tropical storm Alberto is soaking and socking its way inland. Alberto is the first named storm of the season. After last year’s triple whammy of Hurricanes Harvey, Irma and Jose, nobody wants a repeat. Nobody even wants a mediocre sequel. All told, six major Atlantic storms in 2017 had winds at least 111 miles an hour. NOAA is predicting this year will be an active one for hurricanes, but not as extreme as 2017. Thank God. We don’t want to see that kind of damage and suffering again this summer. And I’m sure FEMA workers would like to see their families. Ah, families. We’ll be hitting the road in a few weeks to see family. The drive will be more expensive this year because of the higher gas costs … and our effort to eat healthier. Remember how they banned billboards on some highways? I think along Interstate 40 they also banned lettuce. As much as I adore my family, often it’s the journey that provides the most memorable moments. In “This Land is Your Land,” Woody Guthrie wrote about how he “roamed and rambled and followed my footsteps” across the country. He spoke of sparkling sands and diamond deserts. He did not sing of Love’s travel stops, waitresses who call you “Hun,” or prophetic words to a hustling young Jack-in-the-Box worker. But we share the same spirit. While Woody railed against the Vigilante Man, he would salute the Arkansas trooper who pulled us over at 2 a.m., concerned that my weaving signaled I was falling asleep. (“Sorry, officer. My rear end and back just hurt because I forgot to take my wallet out of my pocket.”) Woody sang about the wonders of the Grand Coulee Dam. I can sing about the wonders of a Slushee machine. 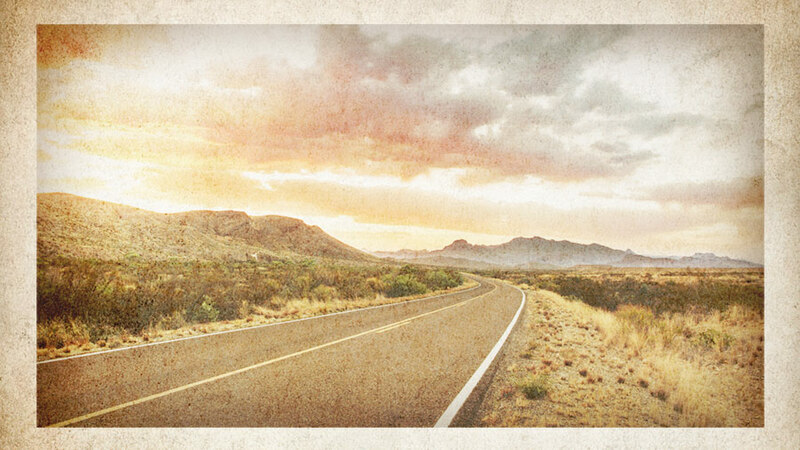 This summer, millions of us will take to the road to get someplace. It’s good to stop and smell the roses along the way. It’s even better to stop and see the people. The road between the “redwood forests and the New York Island” — this land routinely ignored by the network news — helped open my eyes wide. Millions of us are going to take to the road to get someplace. It’ll be good to stop and smell the roses along the way. It’s even better to stop and see the people. I heard the Lord was camping near the Two-Hearted river in the upper peninsula of Michigan. So I am planning a bicycle camping adventure to see if I can find His camp site next month.